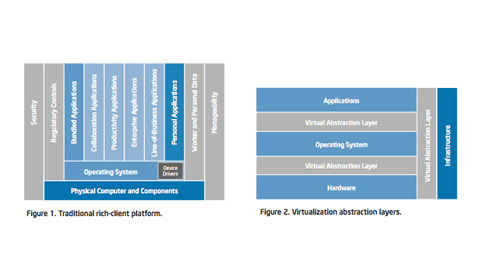 IT Innovation: Intel IT is investigating virtualization because it has the potential to transform client computing, reducing total cost of ownership (TCO) and increasing IT control while giving users more flexibility. However, because client virtualization embraces multiple rapidly evolving technologies, it can be difficult to identify the optimum long-term adoption strategy. Read more IT White Papers on IT Innovation at Intel’s Premiere IT Professionals site.